Tens of millions of public sector workers in India went on strike to protest Prime Minister Narendra Modi's push for privatisation and other right-wing economic policies. “This strike is against the central government, this strike is for the cause of the working people,” Ramen Pandey of the Indian National Trade Union Congress told Al Jazeera. Why isn't technology making our lives easier? Last month I read an article that first appeared in the Huffington Post titled "X Marks the Spot Where Inequality Took Root: Dig Here". It explains how real wages in the US shadowed growth in productivity in the years after World War II. But in the mid-1970s wages growth completely stalled. If wages had continued to shadow productivity growth they would now be double what they are today. This explains a lot about contemporary US society: all the gains of increased productivity have been absorbed by the rich. Australia’s first health clinic catering solely for the needs of the transgender and gender diverse community has opened. The Equinox Gender Diverse Clinic, a peer-led trans-focused clinic, is run by the Victorian AIDS Council. The clinic bulk bills, making the service accessible to the entire transgender community. Starting with a GP service, Equinox plans to expand into a counselling service later this year, and beyond that into addressing trans homelessness. 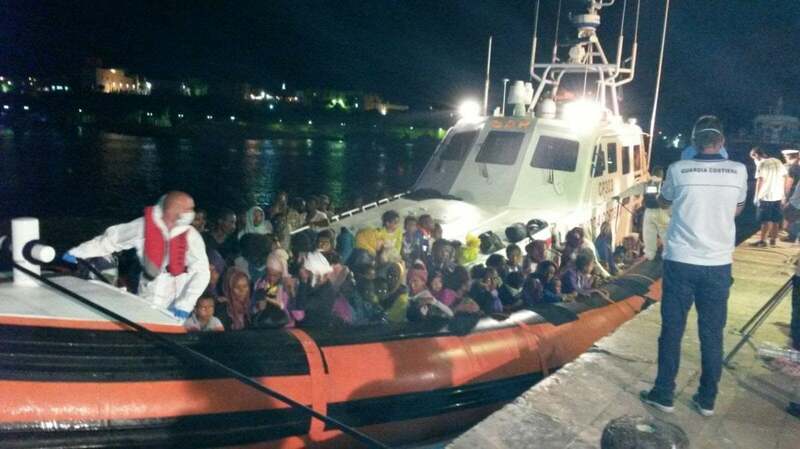 Refugees rescued from the Mediterranean. Lampedusa, August 30. Despite the public outcry over the death of three-year-old asylum seeker from Syria, Alan Kurdi, in the Mediterranean last year, Oxfam said refugee deaths have risen since then. World refugee deaths over the past year have risen by more than one-fifth, according to international charity Oxfam. New research suggests that Tasmanian devils are evolving resistance to Devil Facial Tumour Disease (DFTD), which has seen devil populations decline by between 80% and 90%. Following the extinction of the thylacine in the 1930s, devils have become the top marsupial predator, keeping numbers of feral cats at bay. With the decline of the devils, feral cats have grown in numbers and small mammals on which cats prey have declined. Scientists have identified significant changes in DNA samples of devils from regions with DFTD. Workers in retail and fast-food outlets, including Woolworths, Hungry Jack's and KFC, are being underpaid more than $300 million a year, in a national wages scandal centred on deals struck with the socially conservative Shop, Distributive & Allied Employees Association (SDA). Fairfax Media has uncovered evidence that some of Australia's biggest employers are paying their employees less than the award in a longstanding and cosy partnership between big retail and fast-food employers and the union. The federal government has published a proposed law to restrict the rights of firefighters and other emergency service workers. The new law will amend the Fair Work Act to ban enterprise agreements covering workers employed by a “designated emergency management body” from containing “objectionable” terms — including requirements for management to consult with the relevant union. The Bolivian mining cooperative protests and the August 25 killing of the Bolivian Vice-Minister of the Interior Rodolfo Illanes by cooperative miners requires us to question our assumptions about the cooperatives. Most of Bolivia’s mining cooperatives began during the Great Depression as miners banded together to work a mine in common. However, like many cooperatives in the US that arose out of the 1960s, they have turned into small businesses. Regardless of their initial intentions, cooperatives existing in a capitalist environment must compete in business practices or go under.